David Price at Hill Robinson is offering the 72m motor yacht Titania for charter from 7 October starting in Naples and heading east to the Aegean Sea and Turkey. Recently refitted, she now feature a fabulous new beach club, fully equipped air conditioned gym on the sundeck and a second master suite on the upper deck with a 180° view. Titania can accommodate up to 12 guests in a total of seven cabins, including two master staterooms and five double cabins. Titania features zero speed stabilisers and is capable of an impressive 16 knots. With a custom-built Royal Denship tender, four jet skis, two Laser sailing dinghies plus various water inflatables, she caters to all guests. 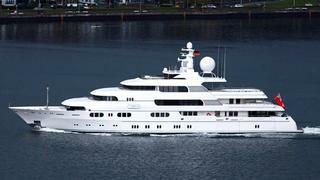 Titania is available for this period at a reduced rate of €350,000 per week.